To Like or not to Like…what value a Like? eMarketer research on the Meaning of “Like” found that 25% of US Facebook users disagree that marketers should interpret “like” to mean they are a fan or advocate of the company. That’s because clicking on “Like” has nothing to do with the brand and everything to do with the individual. It’s rampant narcissism. So an investment in getting people to “Like” you may be a waste of time and money. I “Like” – do you? A quote I often use is “the dollars are in the data” and it refers to the fact that most companies can determine their most profitable customers, or market segments by analysing their customer data. The insurance category is one that could learn by using some simple data analytics – in fact a pencil and paper will do fine, no computers needed. Much insurance advertisers ignores the maths and consequently enormous amounts of money are wasted. General insurance, such as car, home, contents, etc is known as a grudge purchase. That’s because most customers don’t want to buy it, but feel they have no choice. Customers feel insurance is too expensive for what you get and it is hard to see the benefits if you never need to claim. It’s a necessary evil. Unlike other products, a marketer cannot get a customer to buy insurance earlier than it is needed, that is before the renewal date. People don’t stock up on insurance policies just because they are on sale. Insurance is bought either when the renewal notice arrives, or when someone buys a new product that needs insuring immediately. It’s a once-a-year purchase. The way to succeed with insurance marketing is to do some simple maths. 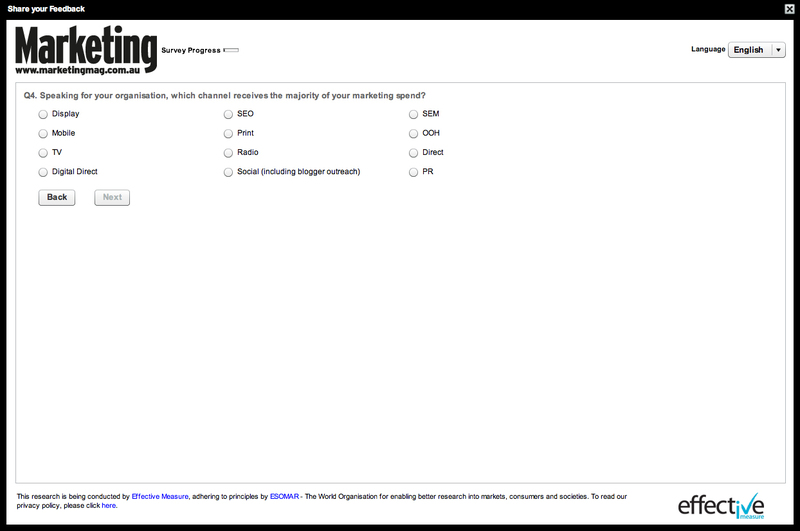 You may have heard some marketers complain about only getting a 2% response rate to a solicitation mailing? Yet if they knew the value of that 2% they would be celebrating with champagne at the result. Here’s how most insurance markets work, assuming a typical churn rate of 10% PA.
1. Those who shop around for the cheapest price with each renewal. 2. Those who had a bad claims experience so they are shopping around for a new insurer. 3. Those whose premiums have increased so they are shopping around for a new insurer. 4. Those who have just entered the market to insure something and are shopping around for an insurer. So effectively, at least 75% of the active customers are not happy campers and probably looking to buy insurance based on price. Not an easy market in which to do business. But the maths are simple – if you are mailing a list and don’t know anything about the insurance renewal dates of the people on that list, then only about 2 in every 100 names on that list is going to be in the market in the week in which you mail them. So a 2% response rate is a phenomenal success, assuming of course you can profitably convert them to customers allowing for the cost of the 98 who didn’t buy. So how does an insurance marketer improve their ability to sell more insurance to prospects? One way is to do what many larger brands do and spend tens of millions of dollars in mass media over almost every week of the year, in the hope they reach as many people as possible and convince them to use the insurer’s brand when they are in the market to renew or buy. This is a very expensive, risky and often wasteful way to undertake marketing. Another is to utilise two marketing tools – the old fashioned competition and the latest internet technology. My agency started to do this using interactive games sent by e-mail 12 years ago before viruses became a problem and eliminated forwarding of attached files. Now we send people to websites instead. The process is simple – conduct regular competitions or promotions (we find quarterly is best) usually in the form of an online game or other competition that engages the prospect. Include incentives to forward the game to friends and most importantly make the price of entry into the game inclusive of the entrant’s renewal date for their particular insurance policy. Using these competitions the marketer can build a lead bank of people who have revealed their renewal dates and have opted-in to receive a quote, as this was a condition of entering the competition. This gives the marketer a list of prospects that can be contacted based on their renewal date, which is a far more valuable list than a list rented by demographics for example. A 10 week competition we ran a few years ago for ABBi small business insurance generated thousands of low cost qualified leads that were receptive to receiving a quote at renewal time. And there was the added benefit of the strong branding and to use the latest jargon “customer engagement” with everyone who entered the competition. Budget Direct, one of the most successful brands in car insurance is a big user of such games promoted virally. So if you are in the insurance industry (or any industry other for that matter) make sure you do the maths before you do your campaigns. You might find you change the way you advertise to the market – and you’ll get better results. Your traditional advertising agency won’t like it, but your CEO will. And your prospects will appreciate the relevant communications at the time they are in the market to buy. There’s hardly a person amongst us who isn’t busy. And because we are, we rarely get time to sit back and ask questions – particularly about the everyday things in our lives. Take tea for example. I’ve always liked a cuppa. But I have never been a fan of tea bags. In fact, over 25 years ago, my Creative Director’s wife made me a pottery tea pot and tea cup. Like me, she enjoyed her leaf tea and thought I should do so as well, particularly during those infernal meetings at work. She was a pottery artist, so it was a wonderful gesture and the ‘tea-set’ lasted years. But I digress. 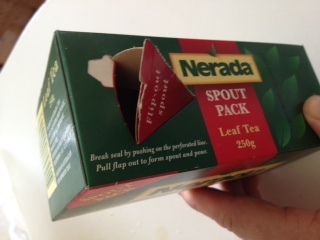 The thing that has frustrated me for years about leaf tea is the packaging. I’ve tried different brands and have always been a bit of a Twinings Russian Caravan drinker. The problem with the Twinings packaging though is that the plastic bag in which the tea is contained is sealed for life. It is of such industrial strength that you cannot simply tear it open. If you do muscle the PVC apart, the majority of the tea flies everywhere as the bag splits open in a sudden catastrophic rip. You then spend days cleaning tea leaves out of every crevice in your kitchen and your personage. The fact is if you are to avoid “the great spill” you need box cutters or scissors or some other sharp device from the second kitchen drawer, to cut open the plastic bag. Even then it’s hard to get a neat cut so your tea leaves don’t spill everywhere. This means there’s no hassle plying the PVC packaging when you first open the tea packet. You don’t need a separate storage container, as the tea is stored in the original (branded) packaging. It’s simple to use, doesn’t make a mess and so obvious in hindsight. Why didn’t anyone invent this earlier? 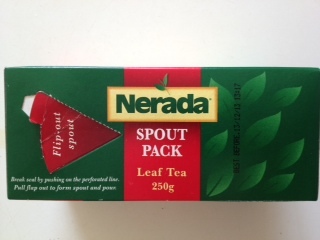 My guess is that as people observe Nerada customers pouring their tea from the packet, sales will increase, as new customers try the tea for the first time. This is clever insight that has been obvious for years, but overlooked. Another obvious solution that was overlooked has opened a whole new market. It’s the coffee capsules pioneered by Nespresso and the like – particularly in offices. The success of these capsules has absolutely nothing to do with the taste of the coffee – which is ordinary at best. The reason the capsules are a success is because they don’t make a mess – there is nothing to clean up. For decades office workers have turned into pigs when they used the kitchen at their workplace. There is not an office kitchen in the world that has been kept clean by the people who use it – despite those same people keeping their home kitchens clean. What is it about being in a workplace kitchen that turns people into such grubs? But not anymore. Now you just put a capsule into a machine, press a button or pull a lever and within 30 seconds you have a ‘fresh’ cup of coffee that is miles ahead of the caterer’s pack of instant coffee provided by management. The most cleaning you may have to do is to throw the used capsule in the rubbish bin, but even that is rare. So if you are looking for opportunities to grow your business, take time out to make a cuppa and ask “why?” You might find you’re the first to ask the question, because everyone has been too busy – the obvious has been overlooked. Time to go, the kettle’s boiling.